Some people like Cara Delevigne, just have perfect brows. But unfortunately most of us mere mortals don't. I, for one, have uneven brows - My left brow is higher than my right brow, and the hair is quite sparse, so I cannot live without brow powder. So I was really looking forward to try the new Brow Resurrection menu offered by Browhaus -- The new menu takes into consideration your skin type, brow concerns and brow preferences. 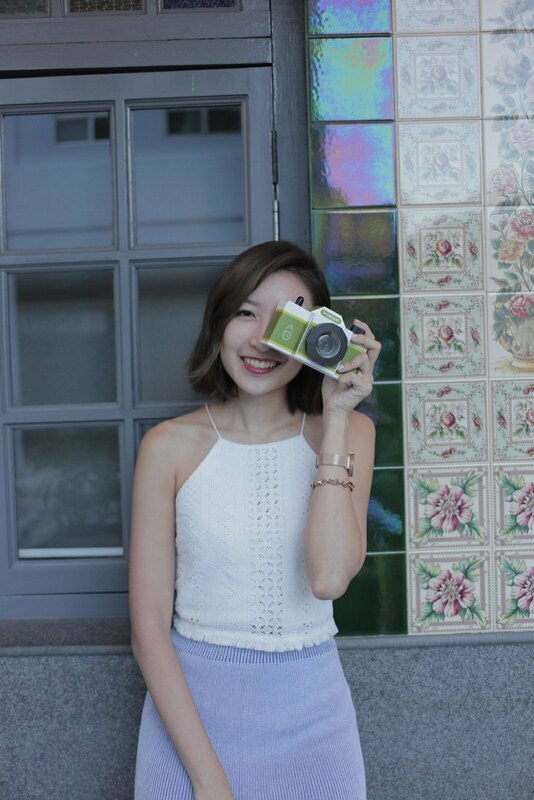 They will design a brow shape suitable for your face type and your area of concern, to come up with natural looking semi-permanent brows best suited for you. There are now 2 more types of brows you can choose from besides Classic (previously Define) and Soft (aka Natural) – BR Ombre and BR Full. First, your therapist will present you with a digital questionnaire with questions pertaining to your area of concern - eg. Sparse brows, uneven brows, tattooed brows and broken brows etc. 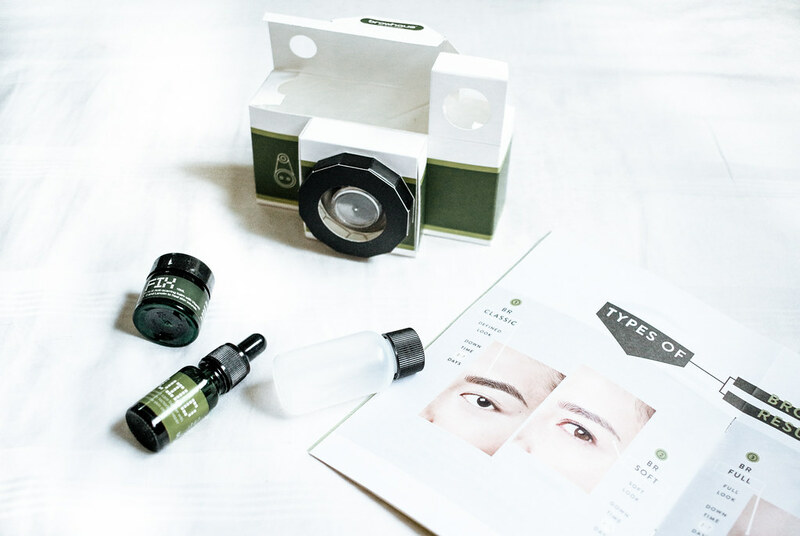 The questionnaire will also ask questions pertaining to your skin type and preferences, in order to pick the most ideal Brow Resurrection type. Based on the results of the questionnaire, and by looking at your face shape, the therapist will draw out a shape first using pencil. This is to allow you to agree with the initial shape of the brow first, before she starts on the process. The therapist will then apply numbing cream onto your brows to minimize pain and discomfort. 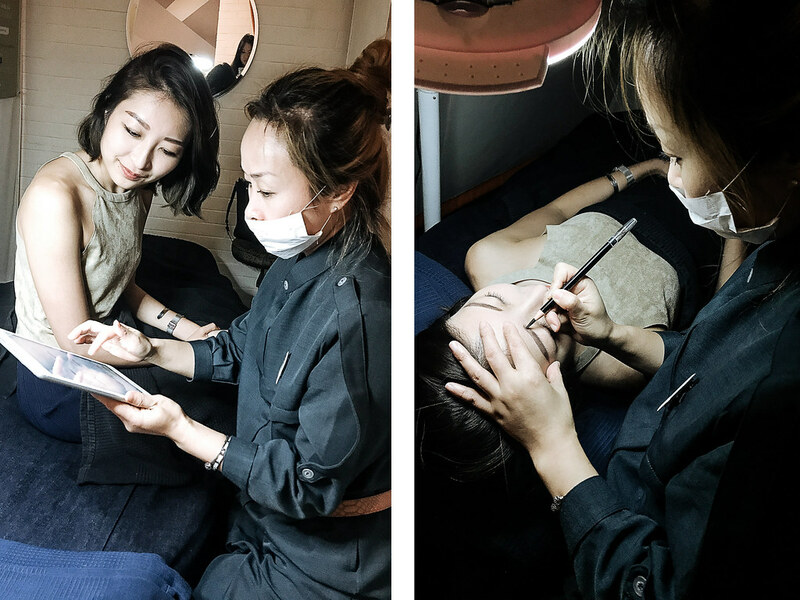 The therapist will mix the brow colour, and using a new disposable micro-blade, she will etch the color into your skin line by line, to mimic the hair growth of natural brows. There is only minimal pain, since the effect of the numbing cream is quite strong, so you would only feel the pressure from the blade and not much of pain. 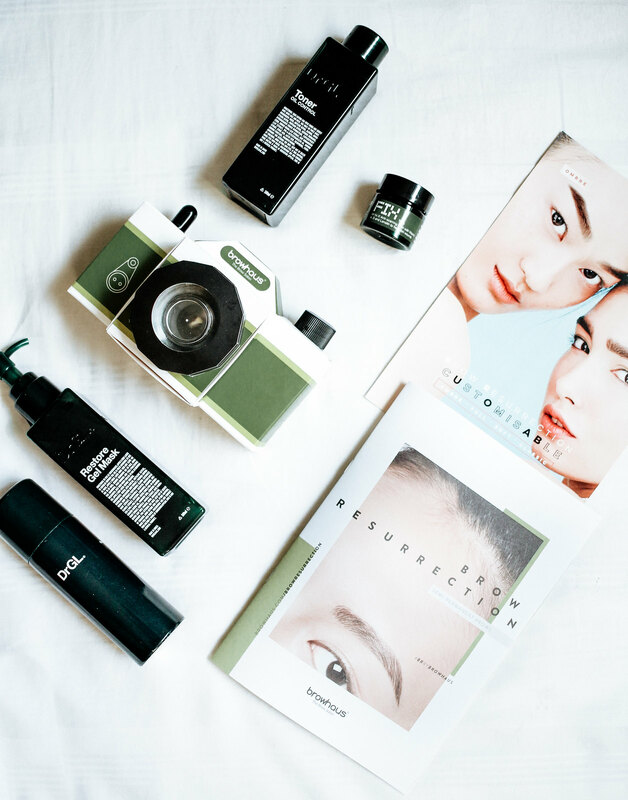 Browhaus will provide you with a super cute aftercare kit that has been specially developed which you can apply to rejuvenate the growth of skin on the brows, and also protect the brows from fading. If you take care of your brows conscientiously, they will definitely last you! This can be purchased separately. 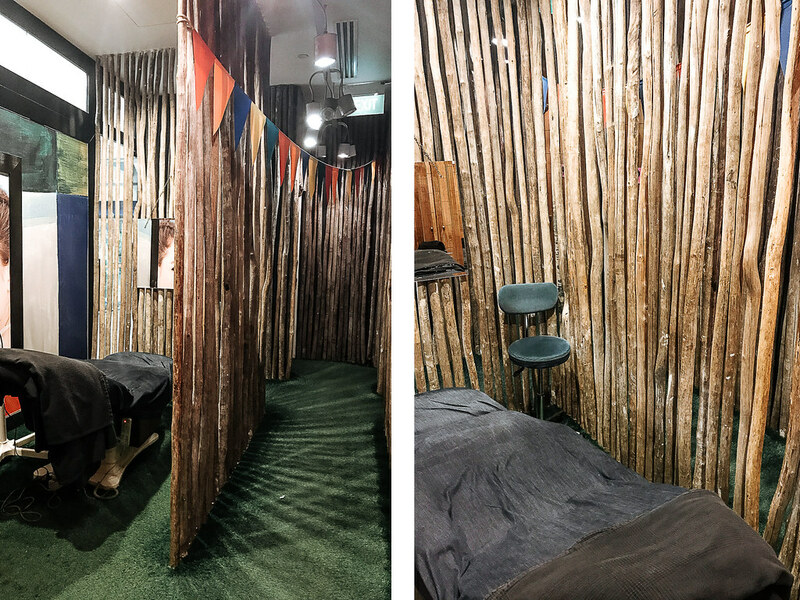 I had my Brow Resurrection done at Browhaus Paragon, and the interiors were decorated like small mini wood-cabins and tents, with carpet grass, which was super cute! You can also be rest assured that the tools they use are very clean and the color pigmentation used is very natural. What stood out for me was how my therapist took into consideration of my face shape and adjusted my uneven brows so that they look level and full. She was also very mindful of my preferences for straight brows that taper off at the ends, and yet she didn't make them look very heavy or dramatic. She also mixed the color of the pigmentation to match my hair color. The result: Very natural looking brows! Their full menu is listed below. 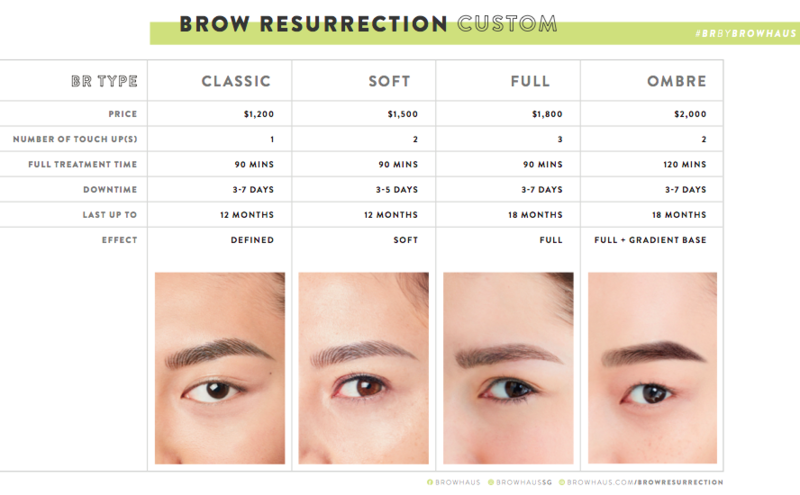 For more information and reviews, head over to Browhaus' Brow Resurrection site here. Quote “VERA” to be entitled to an FOC BR Kit when you do a Brow Resurrection Classic at $850! Valid till 31 July 2017. New BR customers only. Not applicable for master specialists.